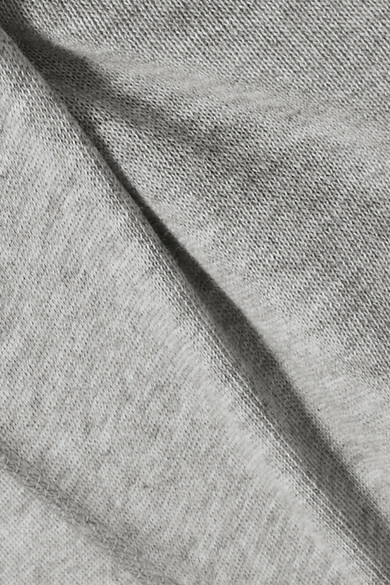 James Perse's luxurious staples are so soft and cozy you won't ever want to take them off. 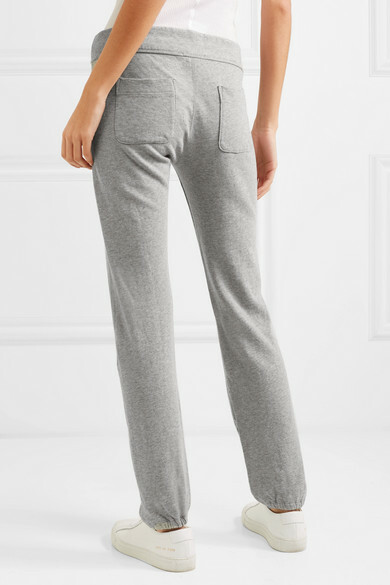 Made from gray marl cotton-jersey, these track pants have a drawstring waistband so you can adjust the fit and are ruched at the cuffs. Wear them with the matching hoodie and sneakers on low-key weekends. 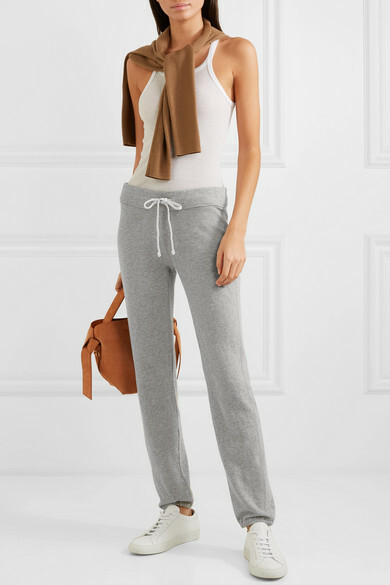 Shown here with: James Perse Tank, Acne Studios Shoulder bag, Common Projects Sneakers.